Poultry Farming means raising domestic birds like chickens, turkeys, and ducks etc for their meat and eggs. It has also commercial purpose poultry farm. Recently, it is assured as one of the most suitable sources of protein for the human body. Poultry products are used in place of beef and pork on account of its low fat. Some people think of poultry farming as a commercially lucrative business. They start this business and later they regret their investment. They never did the exact thing before starting this business in their life. 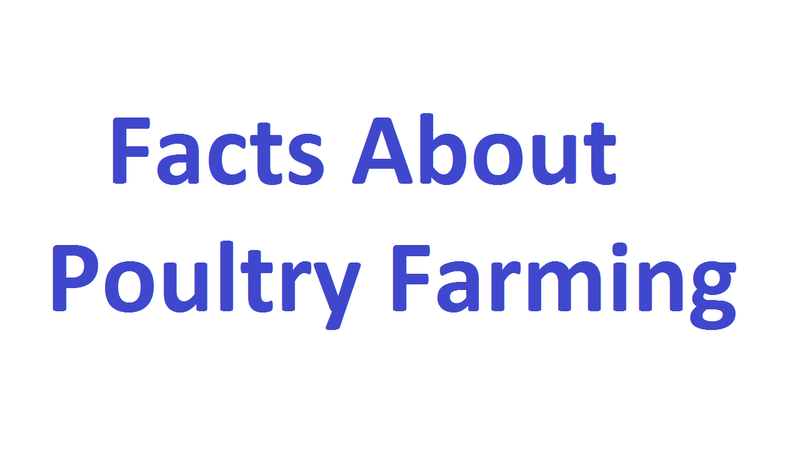 They do not have any idea about the important facts of poultry farming. They only believe that poultry birds have feed and they begin to grow as well as lay eggs or transform feed to flesh. Though Poultry Farming is a lucrative business, you have to achieve it under good management. You have to invest capital and labor in this business. Birds are vulnerable to diseases. So, you have to be very conscious of this matter. You have to be very aware of the effluent disposal problem to the environment and the birds. You can take help from Livestock consultants before to avoid failure in this business. You have to keep a proper housing management for the birds. You have to account which birds would be more profitable for your business. In this case, you can choose layer business than broiler business. You have to consider the part of the sector such as long-termed and some are short-termed. For example, broiler production will be short-termed (2 months) while layering, quail etc. Will be long-termed (6 months and above). You have to survey market before starting this business to determine the level of production. You are advised to run a small business so that you can guess the condition of the poultry business very easily. Under the light of above discussion, I would suggest you go into extensive and free-range poultry production to be successful in this lucrative business. You have to do a proper research before starting this attractive business. I do believe that you will not run at a loss if you follow the mentioned facts about poultry farming business.